Originally built between 1220 and 1230 by William of Brabant, the Castle of Corroy-le-Chateau is one of the best-preserved medieval buildings in Belgium, with gigantic round towers and a moat. 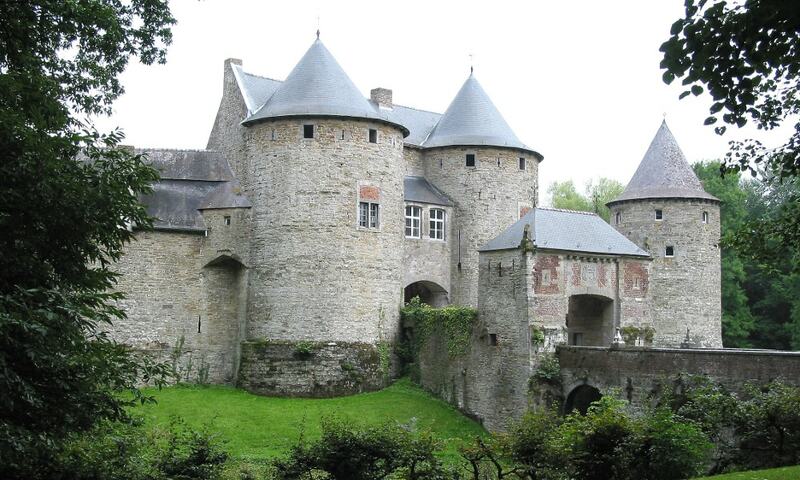 After some eight hundred years in the possession of the descendants of William of Brabant, a family dispute led to a court ordering the sale of the castle at public auction. However, the marquis managed to defeat the sale and retain ownership of his ancestral home. The castle is open for visits.